The M60 Series was an all-purpose main battle tank (MBT) designed to have the firepower and armor of a heavy tank and the mobility of a medium tank. 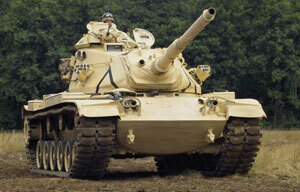 ISO Group provides spare parts and solutions for the three main versions of the M60; the M60A1, M60A2, and M60A3. ISO Group has experience in the M60 AVDS 1790 Engine, Drivetrain, Transmission, Track Shoe, Electrical Assemblies, Weapons Systems, and Accessories. Follow the links below for more detailed information.